I am a bit of a honey fanatic. I love how amazingly versatile it is. If you read my post Stay Healthy with Honey, you will understand that honey is some pretty powerful stuff. After writing that post, I started using honey in my hair on occasion and I really like it. The next logical step would be to make a face wash, right?! I can't lie, I was a little leery. The idea of washing my face with sticky honey was a little out there (even for me). I am one of those people that has to use a moisturizer as soon as I get out of the shower. I didn't feel comfortable with any lotions on the market (that I could afford), so I began using straight coconut oil. I loved it! Then, after a couple weeks, I started to break out around my nose. I stopped using the coconut oil to see if that's what it was and within a week, the breakout was gone. I knew this was the perfect time to try a honey face wash. I have been using it for a month now and I still love it. No breakouts and what's really amazing is I have stopped using a moisturizer! My face is healthy and completely nourished! Again. I love honey!! Honey gently removes dirt and impurities and it leaves the natural oils your skin needs. Raw honey has natural antibacterial properties, helping to reduce breakouts. It works well on all skin types from sensitive to oily to eczema! It is gentle while still nourishing your skin. I use either raw honey or manuka honey. They aren't heated/pasteurized so all of their strong antibacterial properties are in tact. I highly recommend using one of these options over the honey bear that you find at the grocery store. 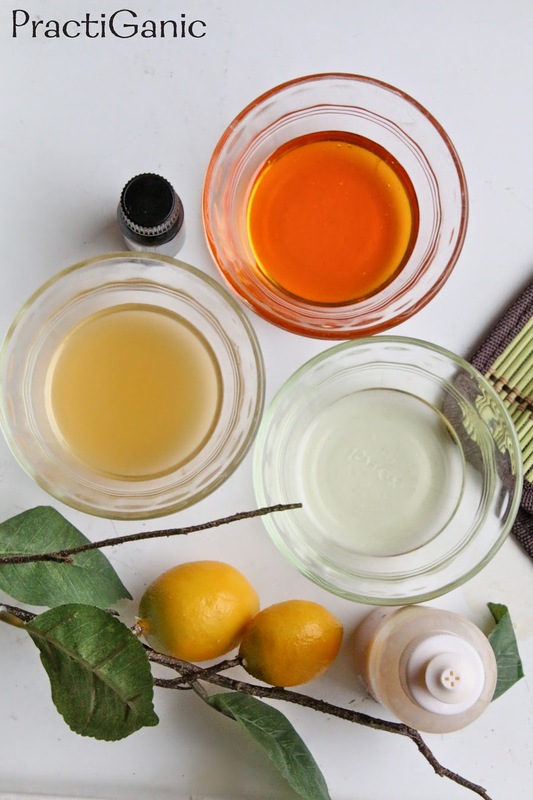 I use the apricot kernel and sweet almond oil because the are really good for your skin. 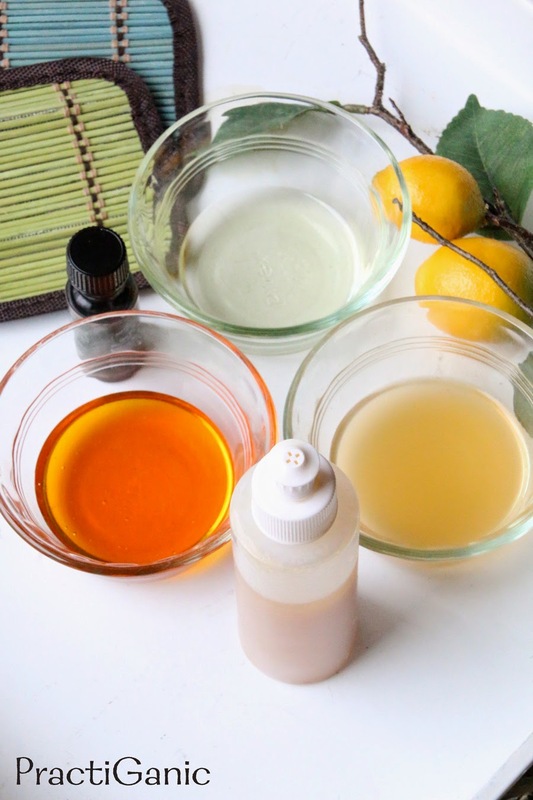 They are light oils that can help moisturize as well as get rid of wrinkles and dark spots while exfoliating. If you are prone to breakouts and acne, I would use all sweet almond oil and skip the apricot kernel. Apricot kernel can be a little more intense, so it may clog pours if you have that skin type. You don't have to use essential oils, but every little bit helps! So, what essential oils should should you use? There are many that will work great, such as lavender or even tea tree, but I like to go for ones that will really help the wrinkles! Frankincense and myrrh are also great ... I haven't invested in these oils yet, but I have heard amazing anti-aging stories and would love to hear if you've tried them! Most raw honey is a little thick so it is best to melt it a little before mixing. I use a double boiler. Then, mix all ingredients together until the consistency is completely smooth. Keep in a air-tight container. Always mix it thoroughly before using. You just need a nickel size squirt. After washing, it is best to rinse with cold water to get all the honey off. It should keep for about a month.